The 2012 Sketchbook Project World Tour kicked off April 14th at the Brooklyn Art Library, featuring thousands of sketchbooks contributed by artists from more than 100 countries. Over the course of 2012, the Sketchbook Project Tour will visit 15 cities in four countries, bringing handmade artists’ books to art spaces around the world. Each interactive installation of the traveling library will draw thousands of patrons to explore the world’s largest library of sketchbooks, generating a groundswell of creative energy in communities from Chicago to Australia and among more than a million visitors online. The Sketchbook Project is a mobile library of artists’ sketchbooks contributed by thousands of creative people from across the globe. 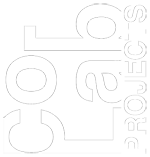 The Project encourages artists from diverse backgrounds ― working artists, full-time parents, busy professionals, students ― to share their process with each other and the public. Participants sign up online to receive a blank sketchbook, then fill it with artwork and mail it back. The results are cataloged in the Brooklyn Art Library’s permanent collection, displayed online in the Digital Library, and exhibited at museums and arts festivals from coast to coast. The Project demonstrates the power of collaboration: When 10,000 people get together with a common purpose, we can create something uniquely awesome. The Sketchbook Project 2013 just opened for new participation, so that patrons inspired by the World Tour can join this worldwide creative experience right now. Please visit us online for details: www.sketchbookproject.com. Art House is an independent, Brooklyn-based company that organizes global, collaborative art projects. Our flagship endeavor is the Sketchbook Project: an evolving library that features more than 18,000 artists’ books contributed by creative people from 130+ countries. We also operate the Brooklyn Art Library, our storefront exhibition space in the heart of Williamsburg, as a home for all of our projects. Art House began in 2006 in Atlanta, GA and moved to New York City in 2009. Since that time, our small organization has grown into a worldwide community of more than 60,000 artists. By focusing on the intersection of hands-on art making and new technology, Art House nurtures community-supported art projects that harness the power of the virtual world to share inspiration in the real world.